Whip up an airy meringue or hearty dough for homemade pizza with the Hamilton Beach® 6 Speed Hand Mixer With Quick Burst™. 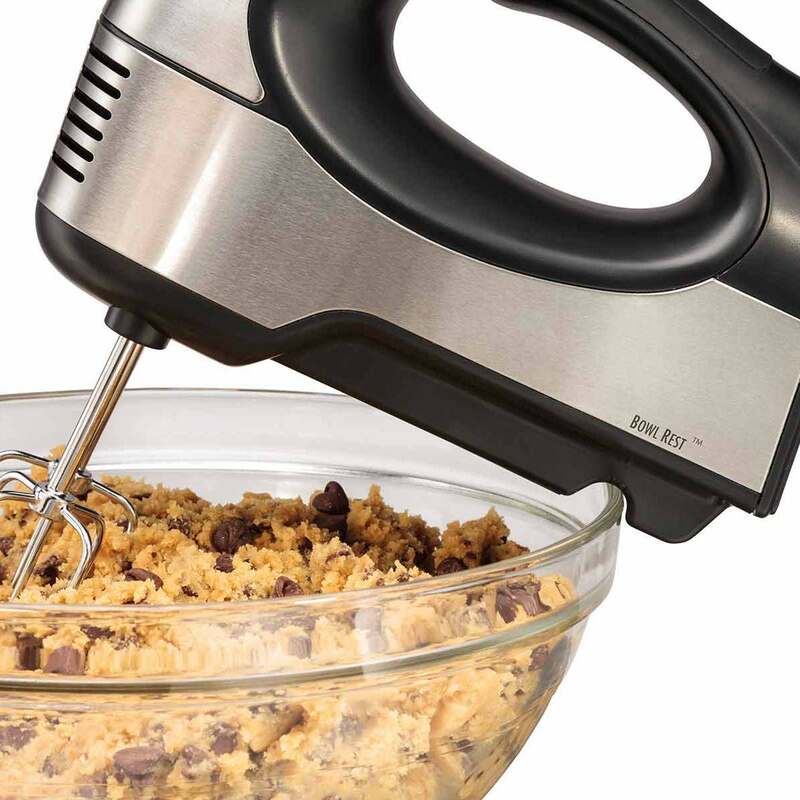 With a soft-grip handle for easy use and three mixing attachments, this versatile mixer is your go to appliance for blending, creaming, kneading and folding. If you’re making bread, dough hooks are included to help you knead the ingredients together. For whipping cream or beating egg whites to fold into a recipe, use the whisk for great results every time. This attractive mixer, with stainless steel housing, has a built in bowl rest making it easier and less messy to rest the mixer when adding additional ingredients. 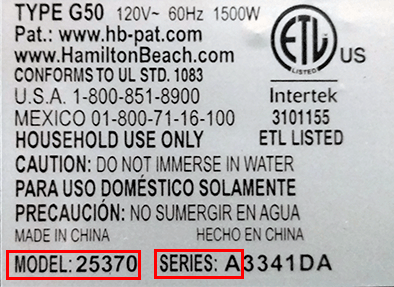 It also touts six speeds plus a burst function, providing additional power with the simple push of a button. 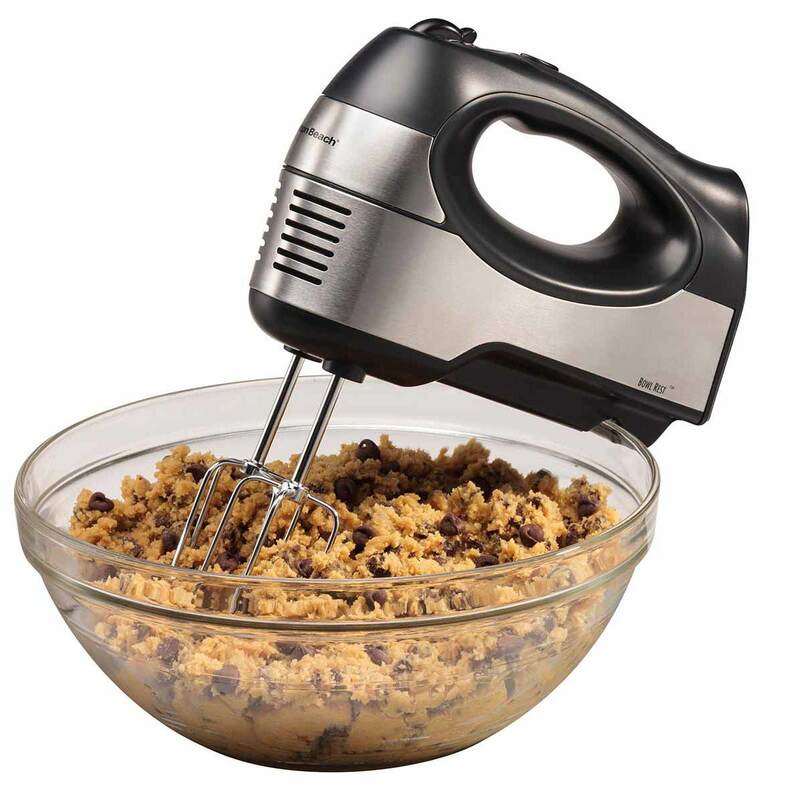 This Hamilton Beach® Hand Mixer is about more than performance. It is also designed for easy storage. A suit case style storage case fits all the attachments and the mixer perfectly. 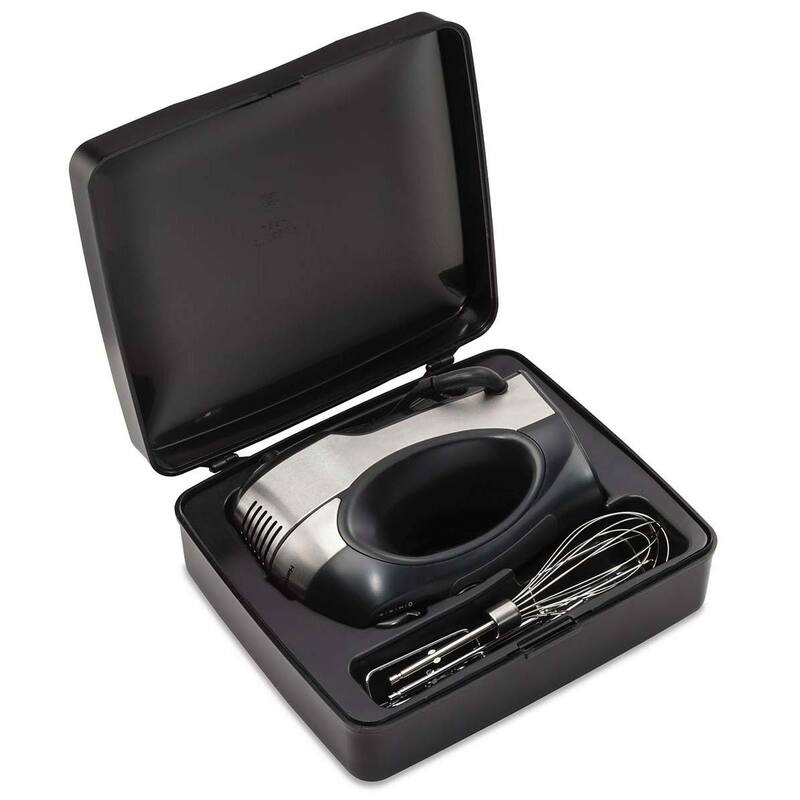 A built in groove lets you rest the mixer over the bowl when adding other ingredients. Whether you need to beat or blend, we’ve got you covered. 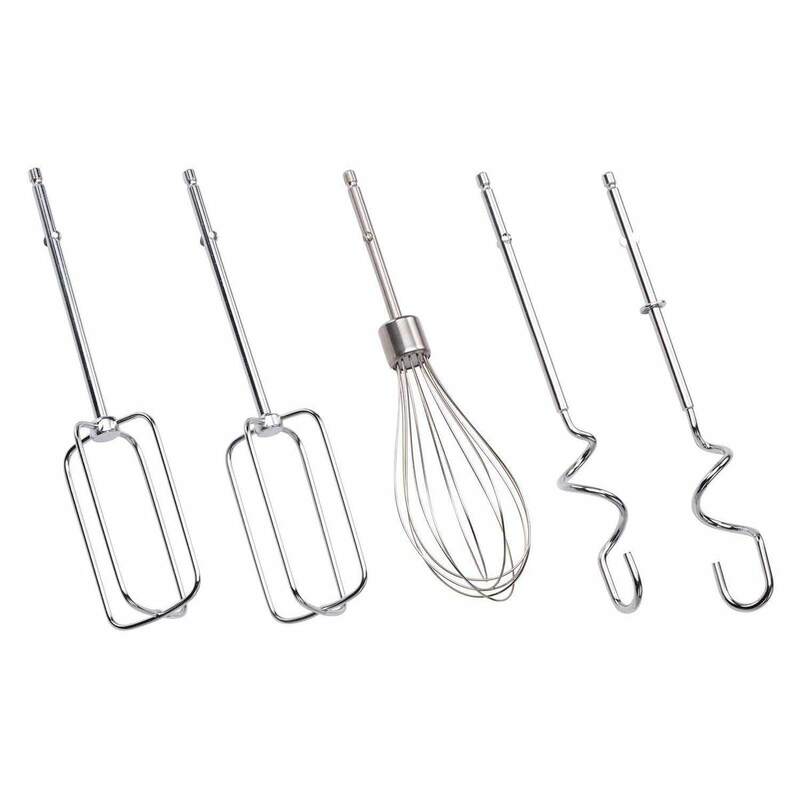 With two beaters, a whisk and two dough hooks, you’re sure to have the right tool for your recipe. 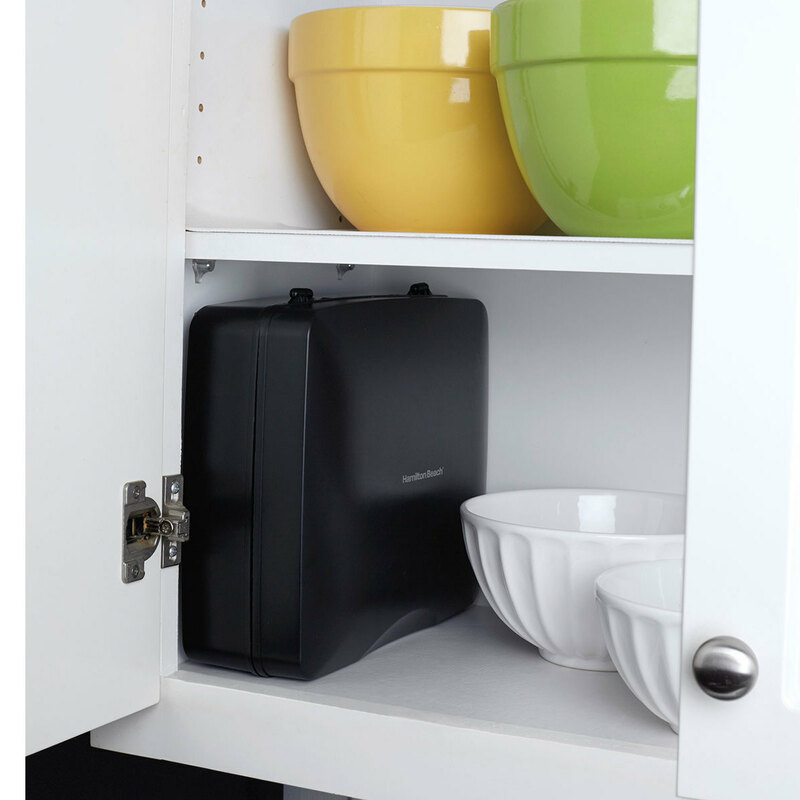 No more digging through the drawers to find your mixer attachments. A suitcase style storage case holds the mixer and all attachments, keeping everything together in one place. 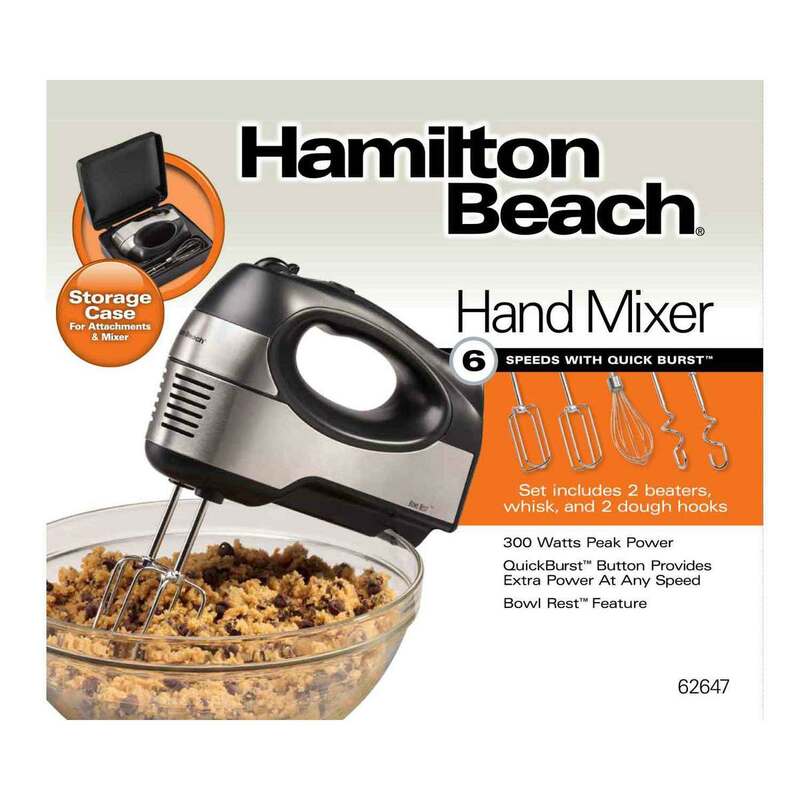 The Hamilton Beach® Hand Mixer has a stainless steel body that is both attractive and easy to clean. The rubber grip handle is designed to give you better comfort and better control. The functional carrying case makes it easy to put the mixer and the attachments away for storage.